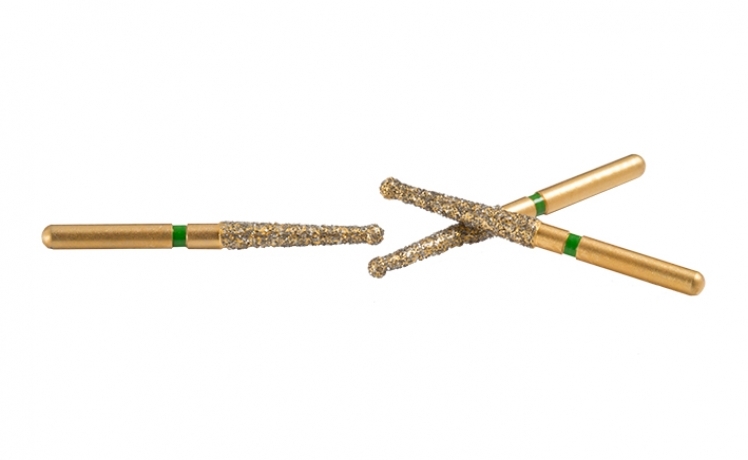 Stainless Steel burs with a special diamond coating to reduce gouging. This bur’s tip matches round bur sizes for initial penetration, while its diamond shaft flares the pulp chamber and the canal walls. Cutting surface length: 10 mm. Overall length: 21 mm. Sold in pack of 3. 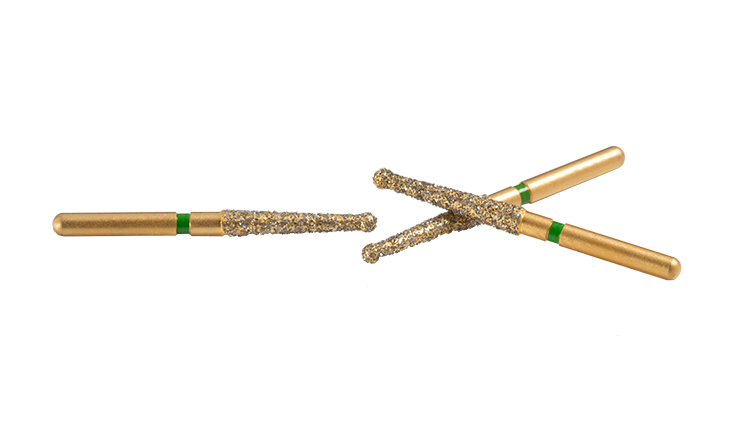 Stainless Steel burs with a special diamond coating to reduce gouging. This bur's tip matches round bur sizes for initial penetration, while its diamond shaft flares the pulp chamber and the canal walls. Cutting surface length: 10 mm. Overall length: 21 mm.